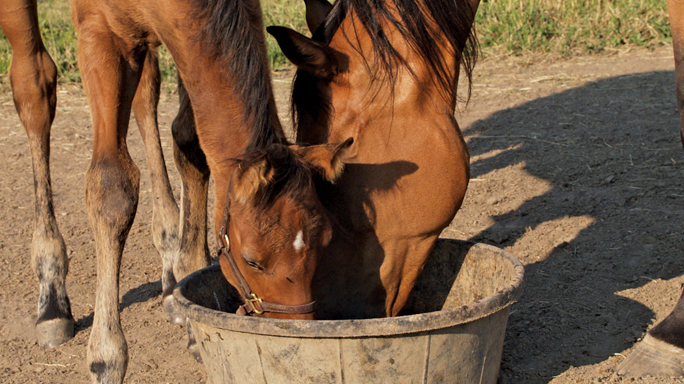 Shannon Pratt-Phillips, PhD, explains the science of fats and their role in the equine diet. In this article, we will look at the different types of fat found in the equine diet, with particular attention to the “essential” fatty acids, which animals cannot synthesize (produce naturally). When absorbed by the body, fat can be a source of energy (calories) for the horse. When fats are metabolized, they generate ATP (adenosine triphosphate), which is then used to fuel muscle contraction or to stimulate other metabolic processes such as protein synthesis. Fats are an excellent source of energy, as they generate more than twice the ATP per unit weight than carbohydrates when metabolized. Also, from an energy standpoint, all fats are equal; one kilogram of a saturated fat has almost exactly the same amount of energy as one kilogram of a polyunsaturated fatty acid. Fat not used for energy immediately can be stored in adipose tissue for future energetic needs. Fat is also a major component of cell membranes (in the form of phospholipids), so can also contribute to body structure. Most fats in a horse’s diet are “triglycerides,” chemical compounds which consist of three fatty acid chains and a carbohydrate component, called glycerol. Some triglycerides are saturated and others are unsaturated, depending on the source. Each fatty acid chain of a triglyceride is comprised of a length of several carbon atoms (usually between four and 28), with one or two hydrogen atoms attached (or bonded) to each carbon unit. A chain is referred to as saturated by hydrogen when all the carbon atoms are bound to hydrogen atoms at all available binding sites. An unsaturated chain features double bonds between carbon atoms at certain points in the chain, which prevents maximum bonding to hydrogen atoms at these sites. Triglycerides are formed when these fatty acid chains (whether saturated, unsaturated, or a combination) are joined to glycerol in what is known as an ester bond, by a carboxyl group, wherein oxygen atoms are double-bonded to carbon atoms at one end (see illustration). Different types of fat are classified based on the composition of their fatty acids. In addition to saturated fatty acids, in which each carbon unit is bonded to one or more hydrogen unit, there are different types of unsaturated fatty acids. Polyunsaturated fatty acids have several sites in their carbon chains with double bonds, whereas monounsaturated fatty acids have just one. Most animal source fats are saturated and tend to be solid at room temperature. Liquid forms of fat include monounsaturated fats such as olive oil, canola oil, peanut oil (and the fat in whole peanuts) and avocado, as well as polyunsaturated fats such as flaxseeds, sunflower seeds, corn oil and fish oils. The term “omega” (as in omega-3 or omega-6) fatty acids, refers to the location of the first double bond on a chain. An omega-3 fatty acid has a double bond after its third carbon from the end (not the carboxylic end), as in the illustration. Conversely, an omega-6 has the double bond on its sixth carbon. While these essential fats can serve as fuel for the body through metabolism to ATP, they have additional biological functions in the body. They are used in specific ways, incorporating different fats in cell membranes for different purposes. It is these three fatty acids that have the most biological activity within the body. While most of the focus on health relates to the omega-3 fatty acids, it is important to note that some omega-6 fats are also essential, and that the ratio of omega-3 to omega-6 fats is of importance, though the “ideal” ratio is unknown. Dietary sources of fat include pasture (about 50 per cent of the fat in pasture is omega-3) and to a lesser degree hay (about 25 per cent of the fat in hay is omega-3), grains and added fat supplements such as vegetable, animal or fish oil. In general, fresh pasture is a decent source of the omega-3 fatty acids, though most horses do not consume enough fresh pasture to meet their daily needs. Grains (oats, corn, etc. ), while relatively high in fat, are high in omega-6 fatty acids. 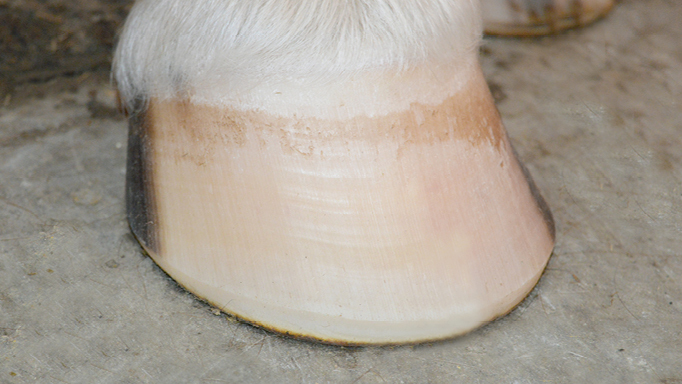 Thus, a horse that is fed a typical “barn” type of diet that is comprised of hay and grain is likely lacking in the omega-3 fats. 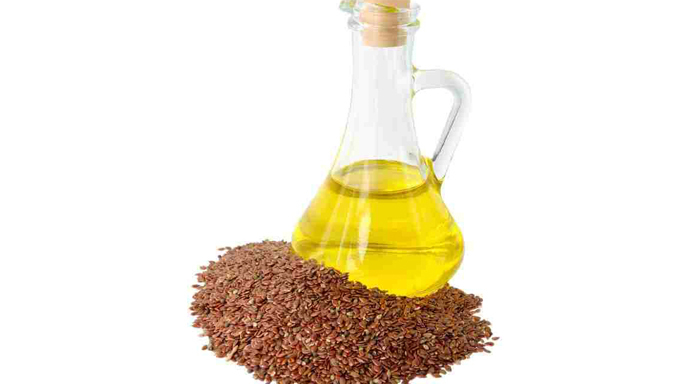 The best vegetable source of omega-3 fats is flaxseed (aka linseed) oil, which is very high in ALA, though canola and soybean oil also have good amounts. It has been shown, however, that the conversion of ALA to EPA and DHA by the horse is limited. One study showed that while both flaxseed and fish oil increased plasma and cellular omega-3 fatty acid content, the fish oil supplement group had higher levels, despite being fed the same amounts. Fish oil (or other marine source, such as krill), which is very high in EPA and DHA, is, therefore, likely your best source of omega-3 fatty acids. Though an exact requirement for the amount of omega-3 has not been established, research suggests that five to 10 grams of EPA or DHA per day (for an average 16 hh horse) is beneficial, or between 20-35 grams of total omega-3. From an overall health standpoint, it is believed that consumption of a diet rich in the omega-3 fats will result in a greater ratio of omega-3s in the body (and in particular the lipid membranes of cells), which will offer benefits to the animal such as anti-inflammatory properties (which may assist with joint movement and arthritis), improvements to skin, coat and hoof quality, sperm output and quality, reducing allergic reactions, and aiding in the prevention and treatment of ulcers. One of the main functions of AA and EPA is their role in the synthesis of eicosanoids (such as prostaglandin and thromboxane), which are signaling molecules involved in inflammation. Briefly, in response to an inflammatory trigger such as injury, free fatty acids are dislodged from their phospholipid structure within the cell membrane, and are converted to different types of eicosanoids, depending on the type of fatty acid it is derived from (which in turn, can be influenced by diet). In general, the eicosanoids produced from omega-3 fatty acids are anti-inflammatory, while those derived from omega-6 fatty acids are pro-inflammatory. DHA also plays an important structural role in brain, sperm and retina of the eye. It is clear that essential fatty acids serve a role in overall health, and when horses consume fresh pasture, it is likely they are meeting their requirements. It is, however, possible however, that supplementation above [minimum] requirements may have further benefits. Research has reported an increase in daily sperm output when stallions were fed marine-source omega-3 fats. Other studies have shown that when supplemented with fish oil, equine red blood cells have higher ratios of omega-3s, which may be beneficial to oxygen transport and platelet function. Fish oil supplementation was also shown to increase trot stride length, which researchers concluded was a result of decreased inflammation and stiffness within the joint. Another study offered supplemental omega-3s to older horses with arthritis, and found decreased inflammatory compounds within their joint fluids. 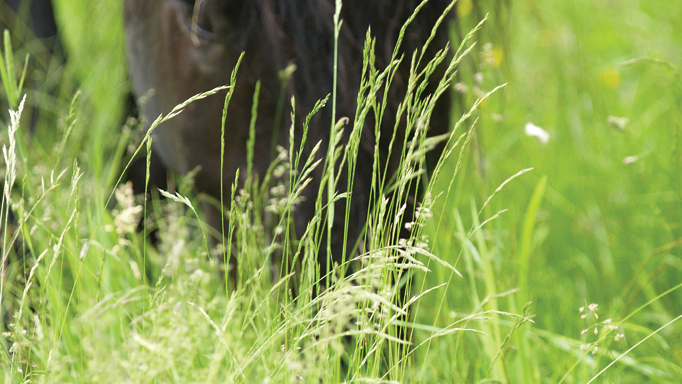 If your horse has access to fresh pasture for several hours daily, he is likely getting what he needs, though he may benefit from additional supplementation. Horses that do not consume ample pasture should have omega-3 fats added to their diet, in the form of either flaxseed oil, or ideally fish oil. Many horses find fish oils unpalatable, though there are commercial products available that have flavoring agents to mask the taste. Your equine nutritionist can calculate the amount of omega-3s your horse is getting and can recommend sufficient supplementation sources to meet his needs. 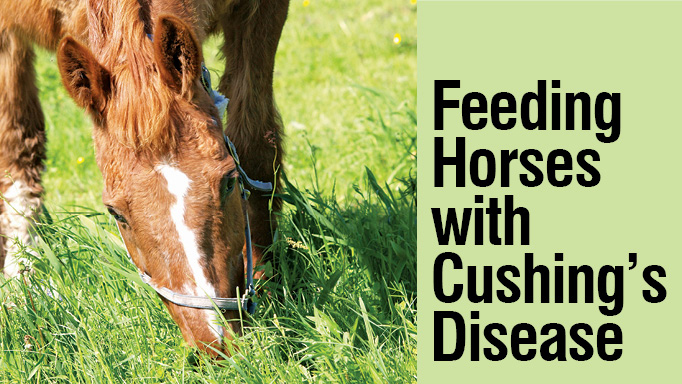 Learn how to manage your Cushing's horse's diet.